Iron is such an important element that there is an entire period of human history called the Iron Age. 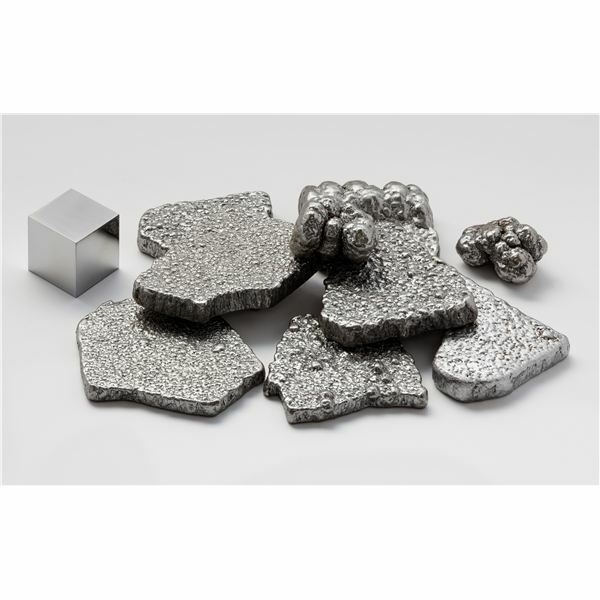 This element is most useful when melted and combined with other metals to form alloys such as steel. Steel is used to build everything from ships and planes to skyscrapers and trains. The modern world could not function without the use of iron. Iron was first used to make tools in approximately 1200 B.C. This began the Iron Age and was a huge technological step forward. Iron is much stronger than bronze, which was in wide use for weapons until that time. Early blacksmiths could only heat the iron enough to work it with a hammer and anvil. They were not able to completely melt the iron so that it could be poured into molds. In the 1700s the blast furnace came into use and iron could be melted and molded into new shapes such as pots, pans, ovens, cannons and bells. Advances in technology allowed the creation of iron nails in the late 1700s. The Bessemer process was invented in the mid-1800s and allows the mass production of cheap steel. Iron is a transitional metal on the periodic table. It has a melting point of 1535.1 degrees Celsius and a boiling point of 2750 degrees Celsius, which is almost 5000 degrees Fahrenheit! Many scientists believe the Earth’s core is made mostly of iron. Iron is important to human health as it combines with oxygen in the blood to carry it to the cells. Iron is an important element with many practical applications in the modern world. Understanding the chemical properties of the element iron and its uses will provide basic concepts for studying electronics, mechanics and many other sciences. Let's look more closely at the question, what are the chemical properties of the element iron? o Iron dissolves in dilute acids. o Iron combines easily with oxygen to produce rust. o Iron is both malleable and ductile. This means it can be shaped into thin wires or sheets. o Iron has a high tensile strength so it can be stretched without breaking. o Iron is easily magnetized and is one of only three naturally occurring magnetic elements. Transportation Industry: Iron is used for making cars, boats, trains, airplanes, and trucks. Trains and subways travel on steel rail systems. Roads have steel signs and guard rails. Construction: Steel is used to make beams for the construction of large buildings, bridges and other structures. Appliances: Modern appliances use steel in the parts and during construction. Food: Steel is used to make containers during the production and distribution of food.